The first vines at Barringwood’s original Lower Barrington vineyard were planted on the site of a working sawmill in 1993. At the time the total area under vine in Tasmania was around 280 hectares. In the 26 years since, Tasmania’s planting have increased 650% and while still only accounting for less than 1% of the total Australia wine grape crush the state is punching well above its weight in the production of truly world class cool climate table and sparkling wines. In 2012 Vanessa and Neville Bagot were visiting Vanessa’s beloved home state from their home in Sydney when they were made aware that Barringwood Park Vineyard (as it was then called) was for sale. A single visit to the stunning site along with wine tasting captivated them, perhaps it is too simplistic to say they liked the wine so much they bought the vineyard, but it’s not too far from the mark. While the purchase of the vineyard was really intended as a charming distraction from their busy professional lives in Sydney, the reality has been quite different. The distraction rapidly became an obsession, particularly for Vanessa who has truly found her passion. Indeed she is never happier than when she is hand pruning in the dead of winter. 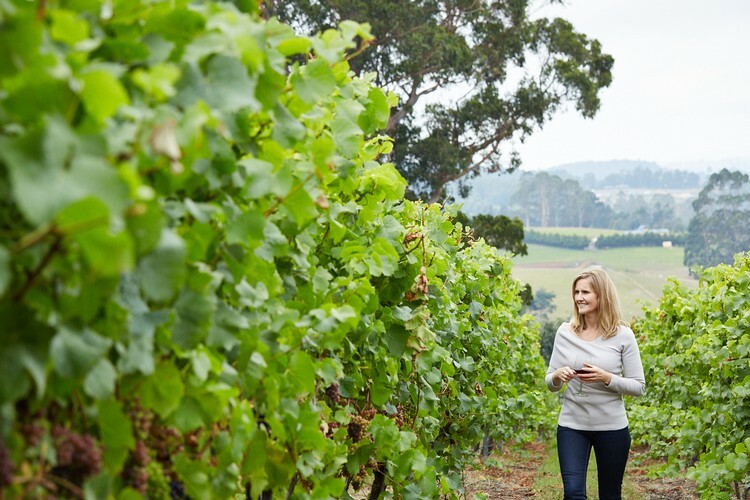 This passion along with a belief in a very bright future for the Tasmanian wine industry have lead Vanessa and Neville to invest in and develop two greenfield sites, one in Cranbrook on the East Coast and one on the outskirts of Evandale. A total of 33 hectares of vines were planted across the two sites in 2016, with further planting planned. From the very first vintages Barringwood wines have gained acclaim and continue to do so. The vineyard has been awarded 5 stars by James Halliday for each of the past four years and in a recent Winestate Magazine Tasmanian regional tasting our Pinot Gris, Mill Block Pinot Noir and Schonburger where all the highest rated wines in their categories. The Schonburger went on to win 2015 Winestate Wine of the Year in the alternative whites category.